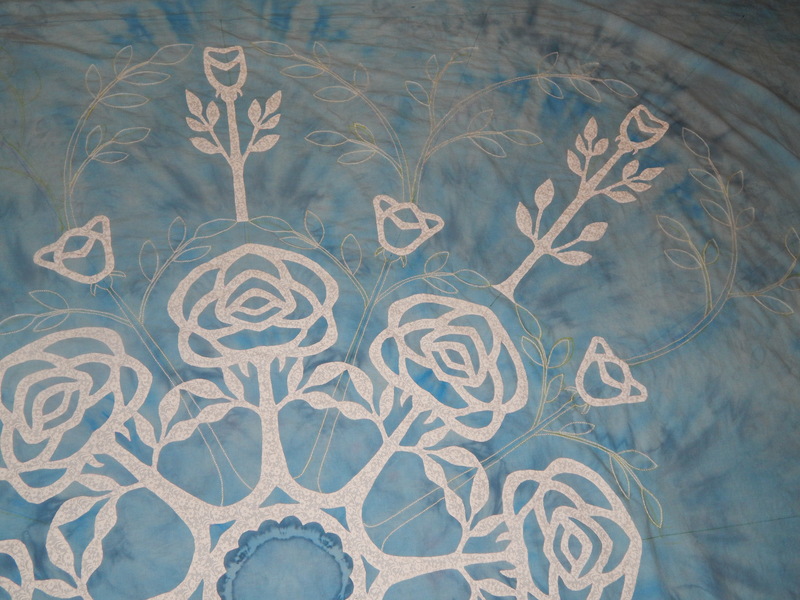 I am nearing the end on the embroidery of the rose applique quilt top. 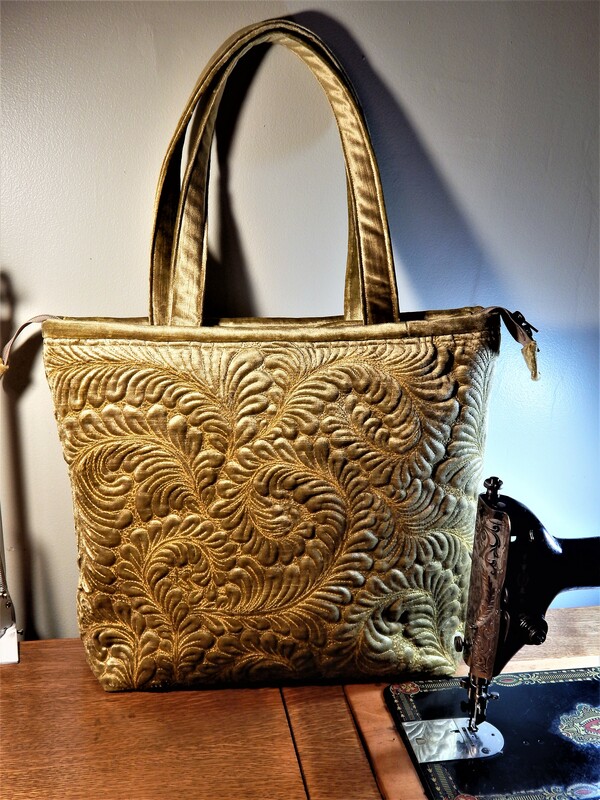 I can’t believe how long it has taken and how much thread I have used! 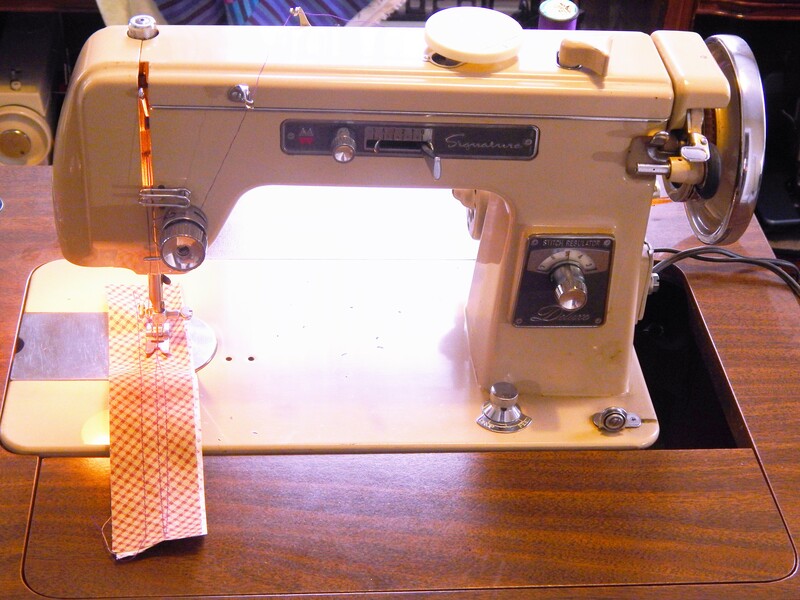 I worked on another sewing machine today. This is a Montgomery Ward Signature Series. I am not sure of the date yet but I guess it is early 60’s. It came in a carrying case that is really gross. 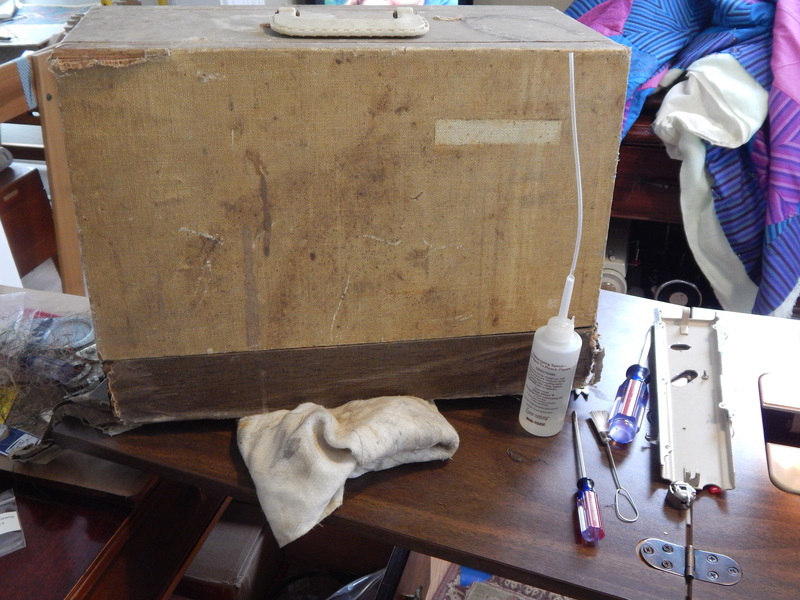 It smells like a very musty basement and all the fabric is coming off but it is fairly solid so I might recover it . 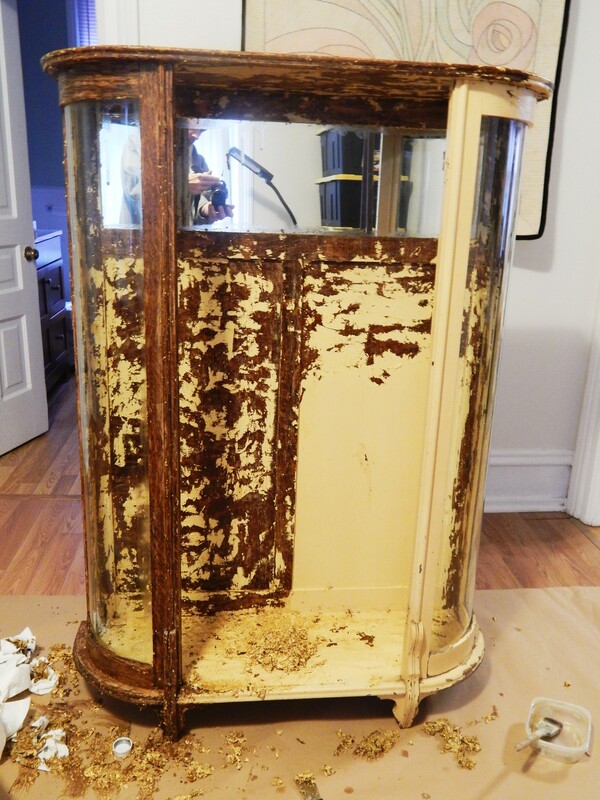 To work on it I put it in an old cabinet I have. It is easier for me to have it in a cabinet while I work on it . It really was rusty and needed a good cleaning to get it to function. I took it apart a bit to get to all the parts. There is some rust residue on the bottom that didn’t come off but doesn’t really cause any functional problems. 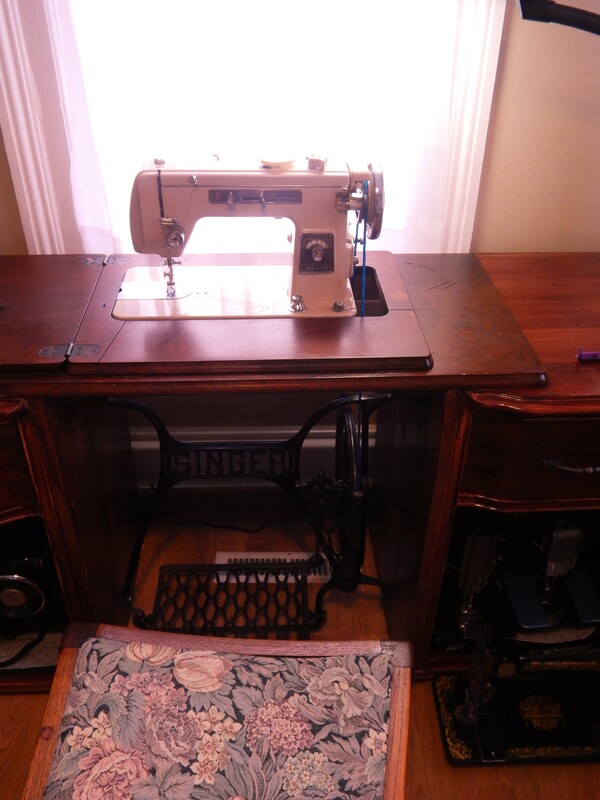 It sews great now that it is all cleaned up….so I decided to give it a go in the treadle. It works great. 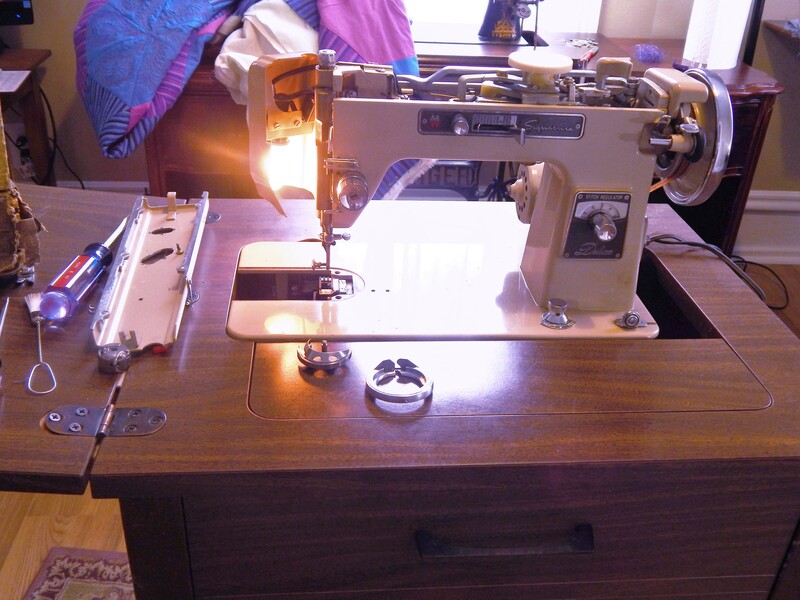 The one thing about treadle machines is that I miss the light but in many of the vintage motorized machines there is a separate plug for the light so I can still plug in the light and use the treadle rather than the motor. 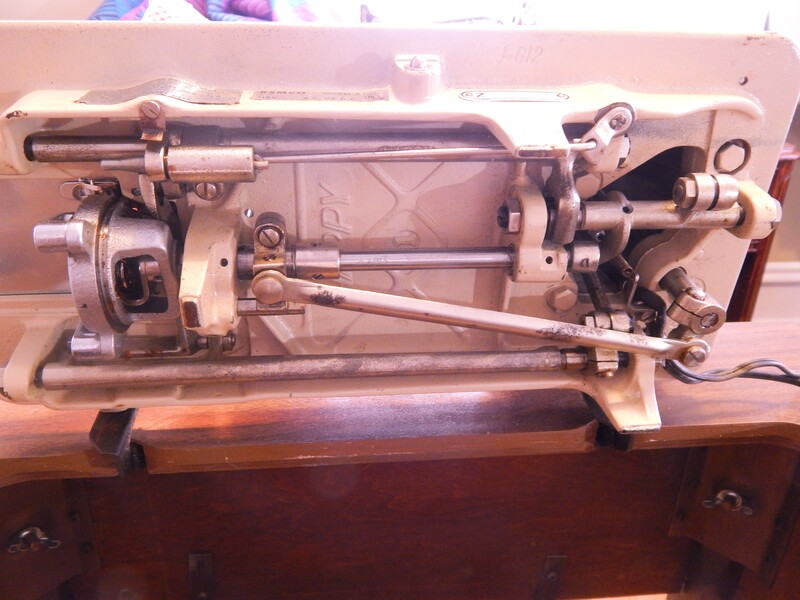 I leave the motor on and just take off the belt to use it in the treadle that way I can easily make it back into a motorized machine by just putting the belt back on. 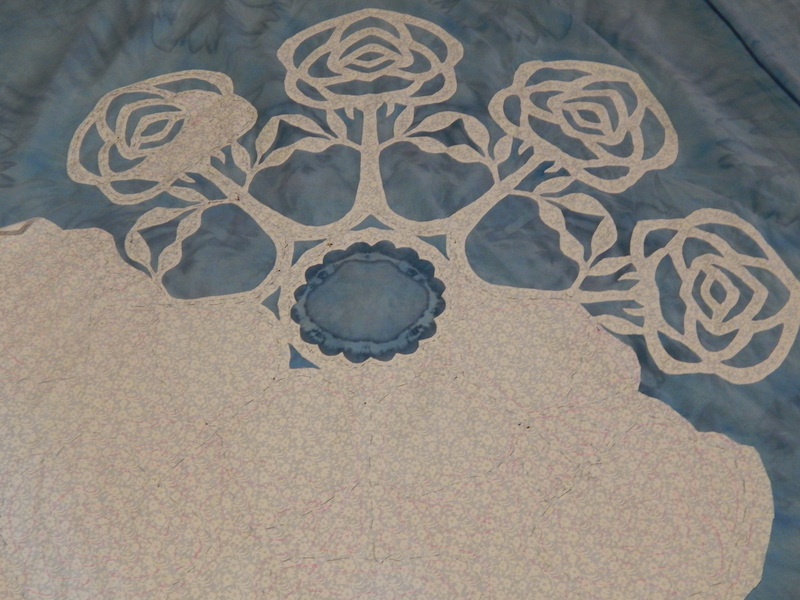 I added some more embroidery to the rose applique quilt top. 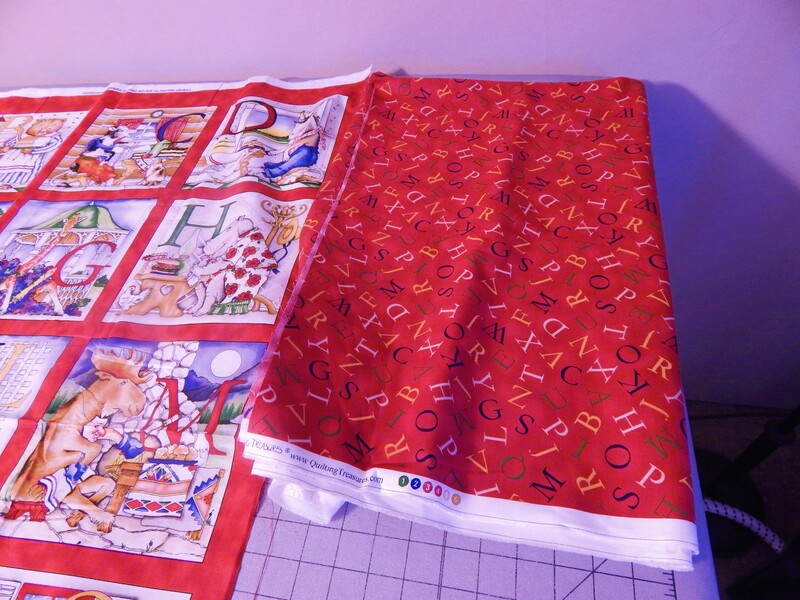 I have to get the rest of the applique finished now before I can do the remaining embroidery. It might take a while …. 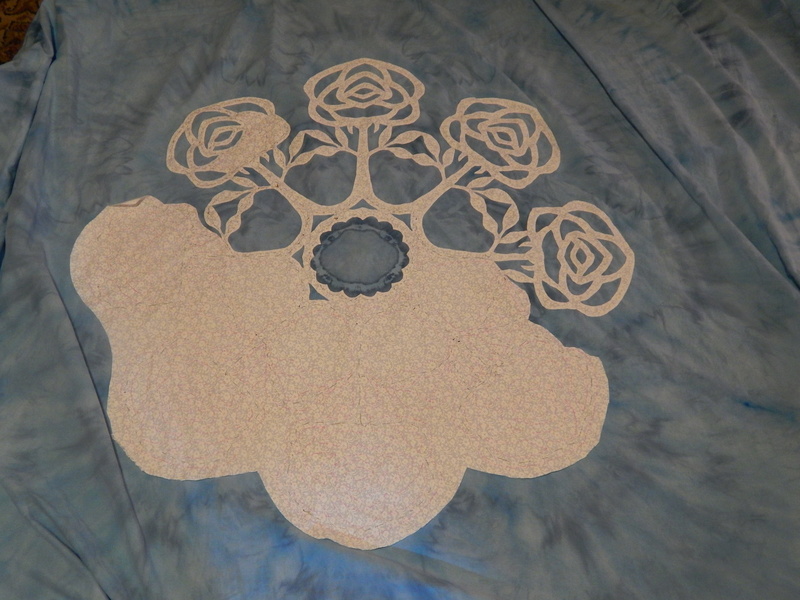 I finished the center of the rose applique quilt. 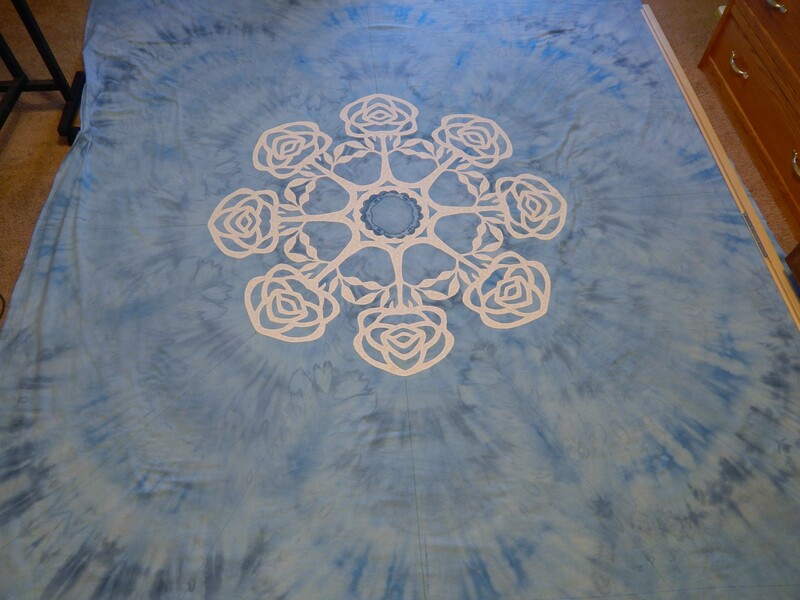 Now I will start to add more around the center. 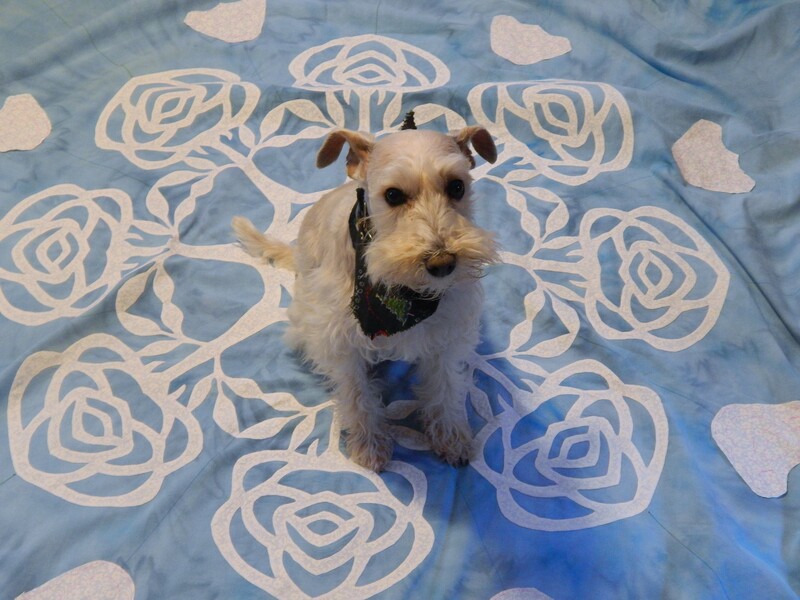 The quilt will be about 85 or 90 inches square (the center is 42″ across) so I need to add some more around the center to fill the space. Rose buds will go on next. 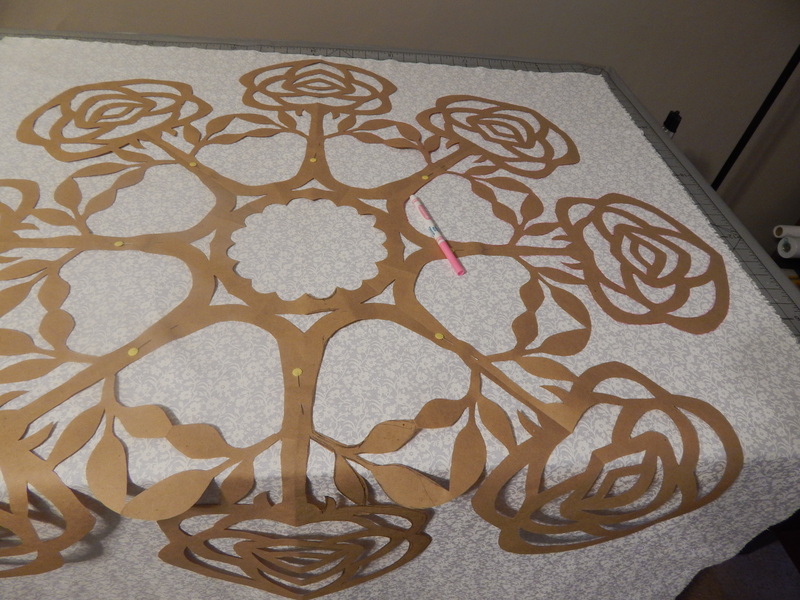 Here is the layout…the cut out rose is my paper template to show what it will look like. 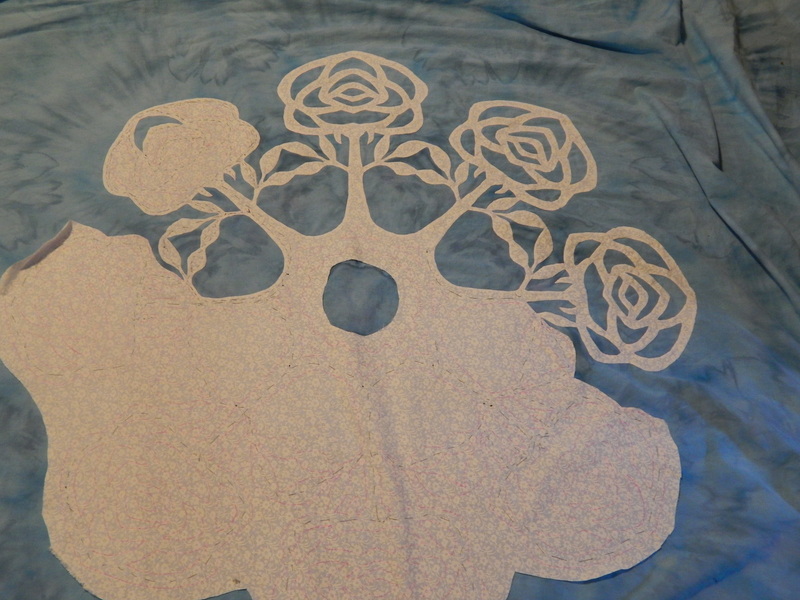 The stems and leaves will be done with the hand quilting. Teddy gave it a test sit. I bought this great fabric today. I am looking forward to getting started on it. It should be fun. The weather forecast is for ice. It started up at about noon. The snow was like little ball bearings bouncing and rolling when it hit the ground. 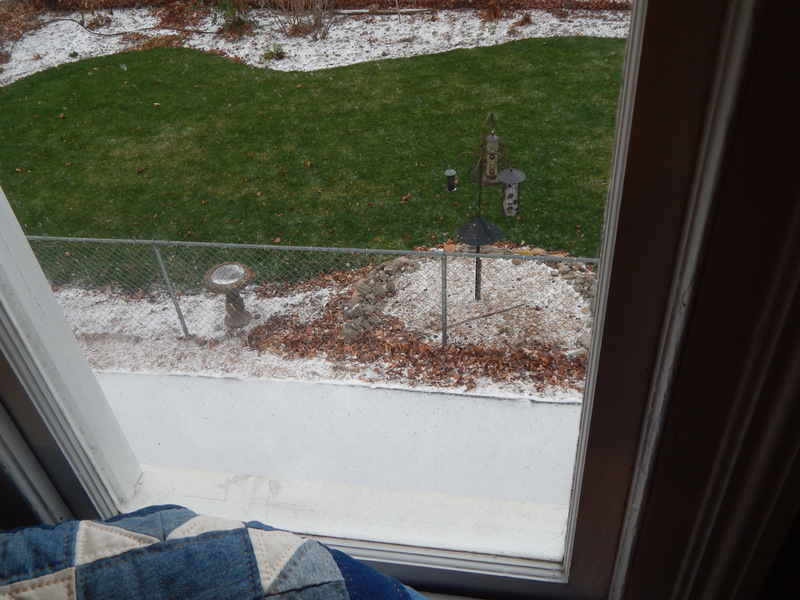 It is changing to freezing rain now and beginning to coat things, the forecast says we should get 1/4 to 1/2 inch of ice. With high winds and many old trees in the neighborhood This usually means a good chance of power outages. 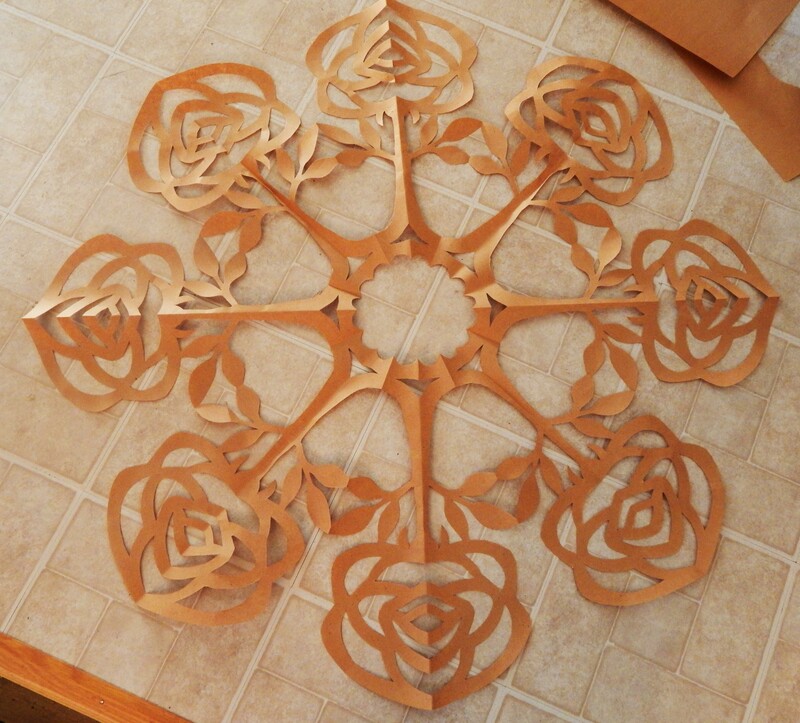 I think it is a good day for being inside and doing some hand work. I needed another project right? 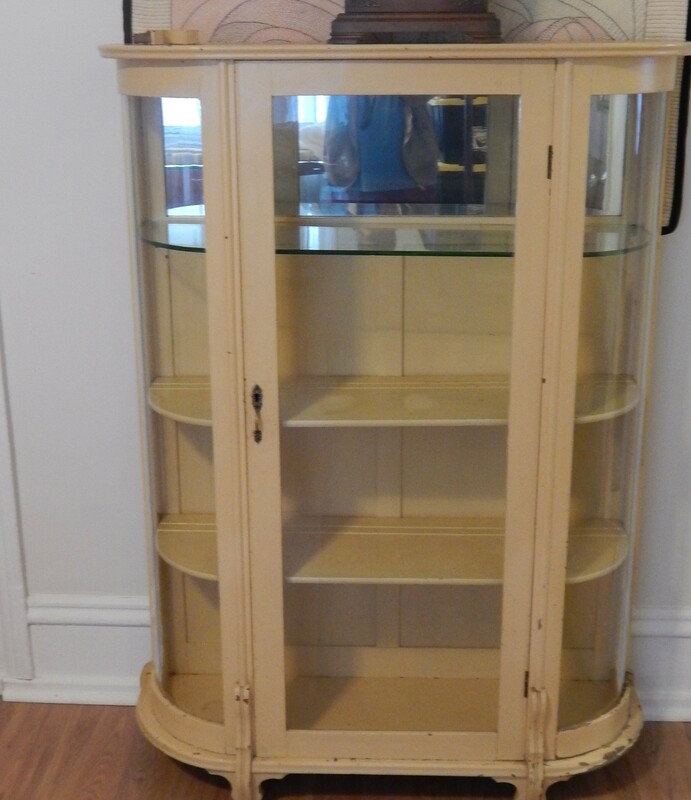 This cabinet had to come home with me. Why do people feel the need to paint over beautiful old oak? 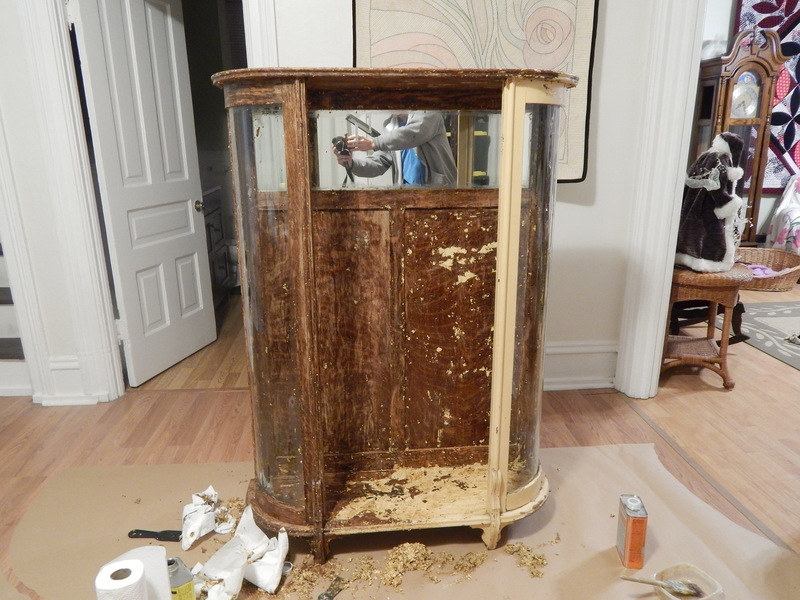 Time for paint stripping. 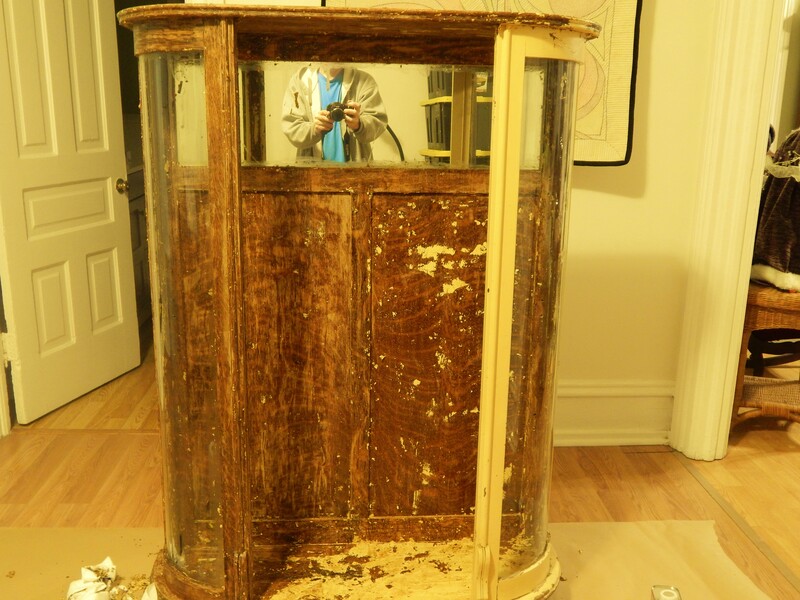 It is a messy job…but the paint is coming off pretty easily…..will post more when I get ready to do the finishing. 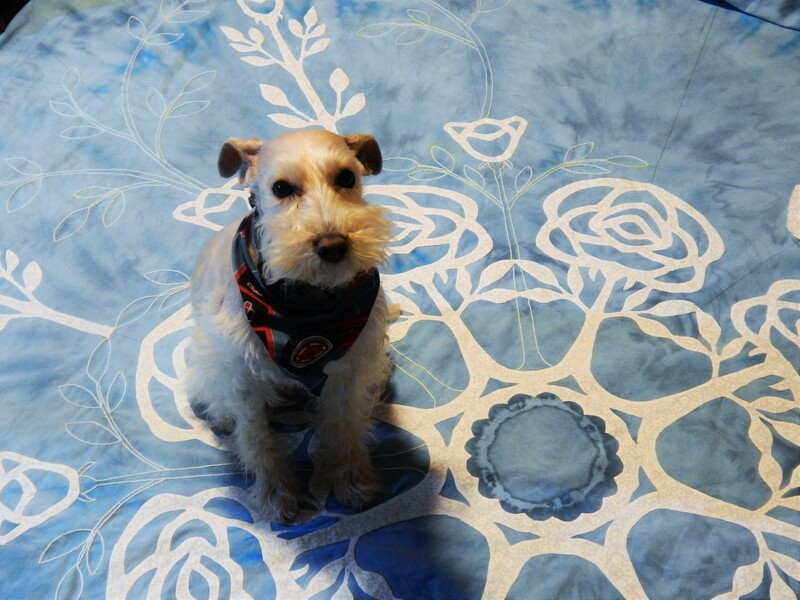 Thankfully I lined up the applique properly so that the dark center of the blue fabric is in the same place as the center of the applique. almost at the half way point! Teddy was happy to post tonight if he didn’t have to get up from his nap. I pressed it flat so tracing would be easier. 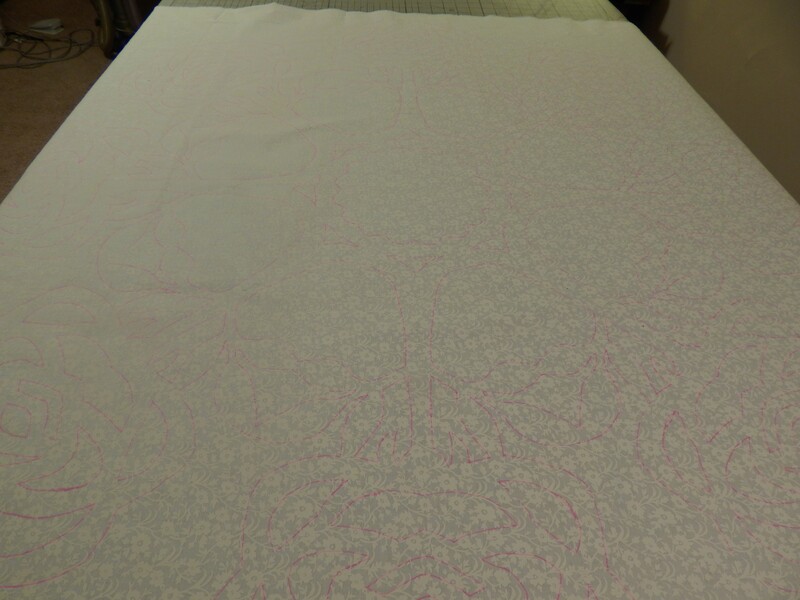 Then I pressed the fabric and I starched it. 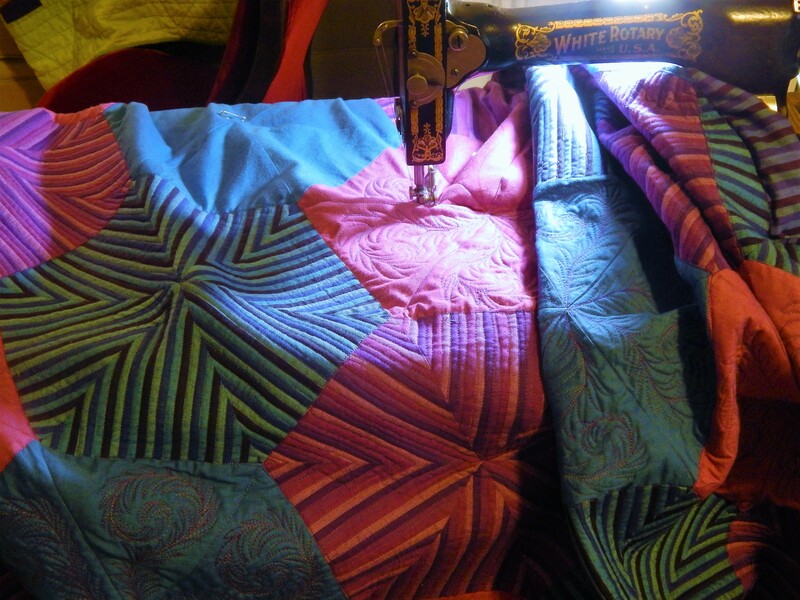 I find that the starch helps in the needle turn because it is easier to get a crease in the fabric and it helps prevent unraveling. 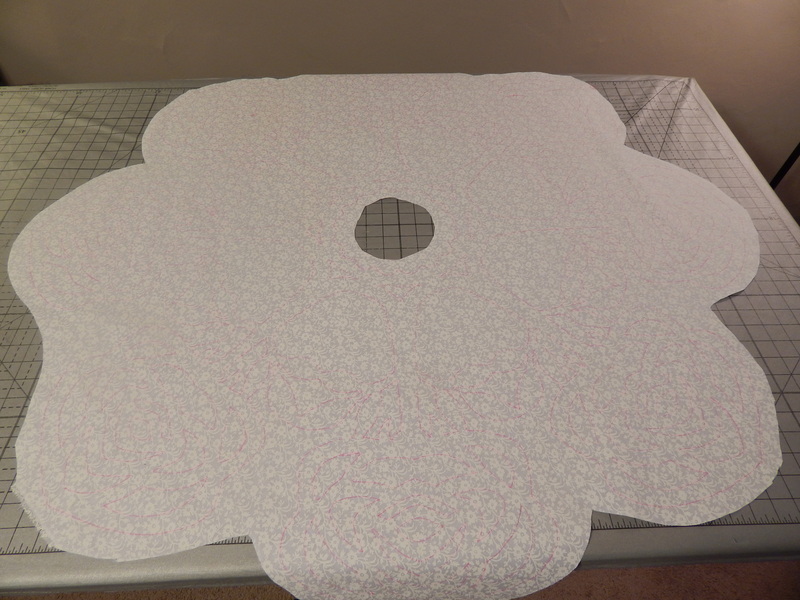 In order to keep the cutout in place I pinned it to the fabric. It is easier for me when my lines are pretty dark so i used a crayola washable marker. (it wont come out until I wash it ) it might be hard to see in pictures but I can see it . Now I need to cut it out. I m not going to cut much, just the basic shape. 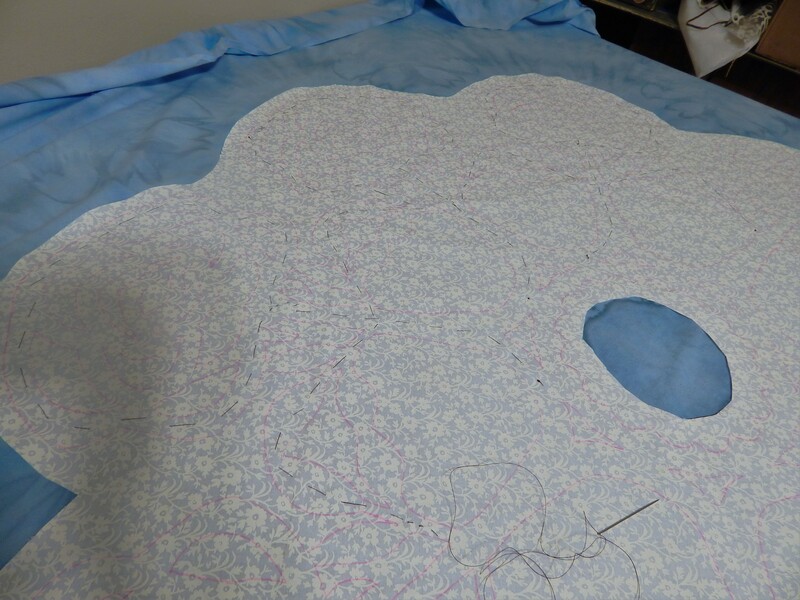 If I were to cut it out fully it would be a lot harder to keep it from becoming distorted while I baste it in place. 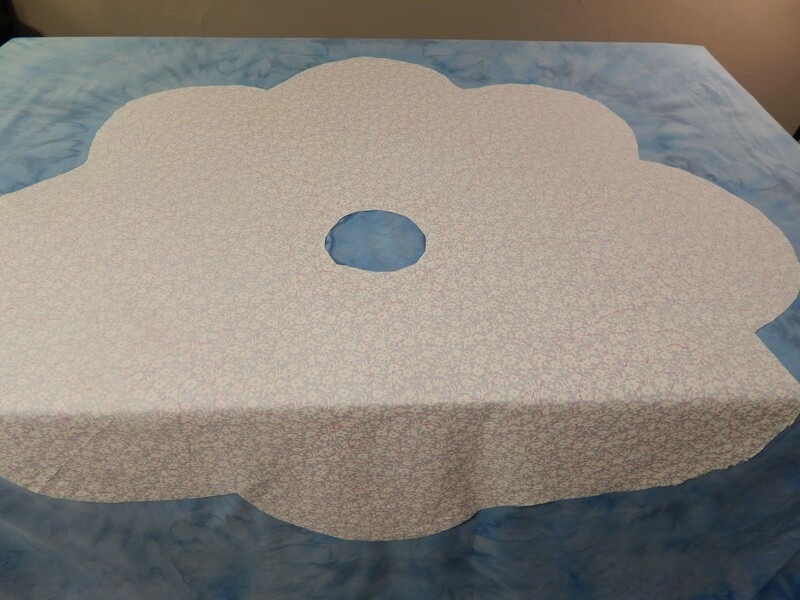 The backijng fabric I have posted about before. 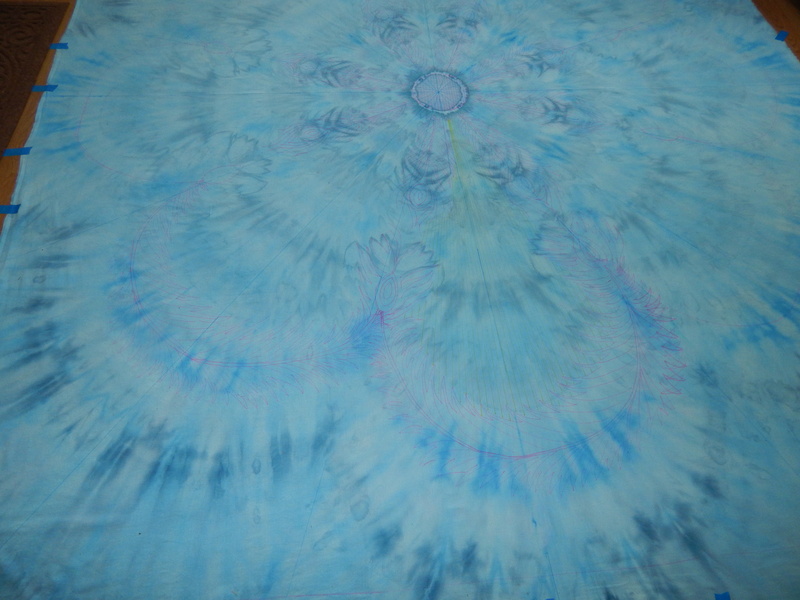 It is a beautiful hand dyed fabric. 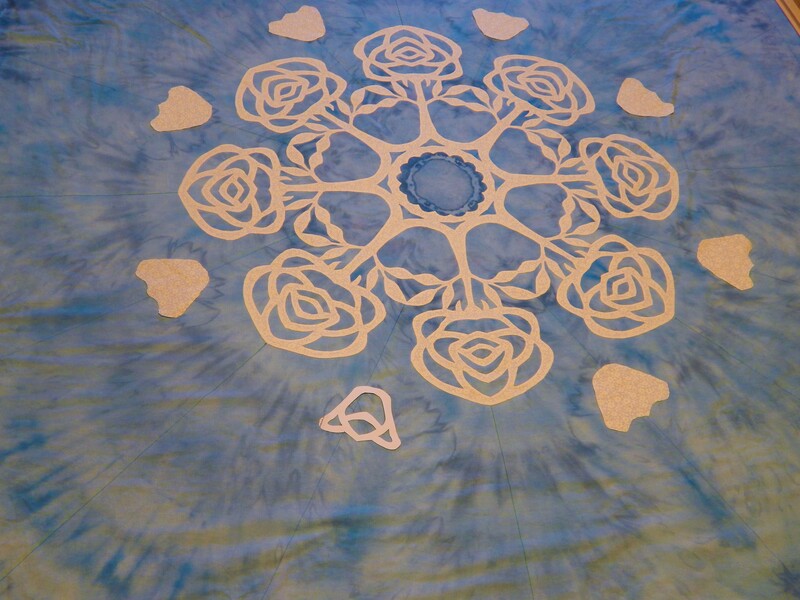 I had marked it to do a whole cloth but I was just not convinced it was right. 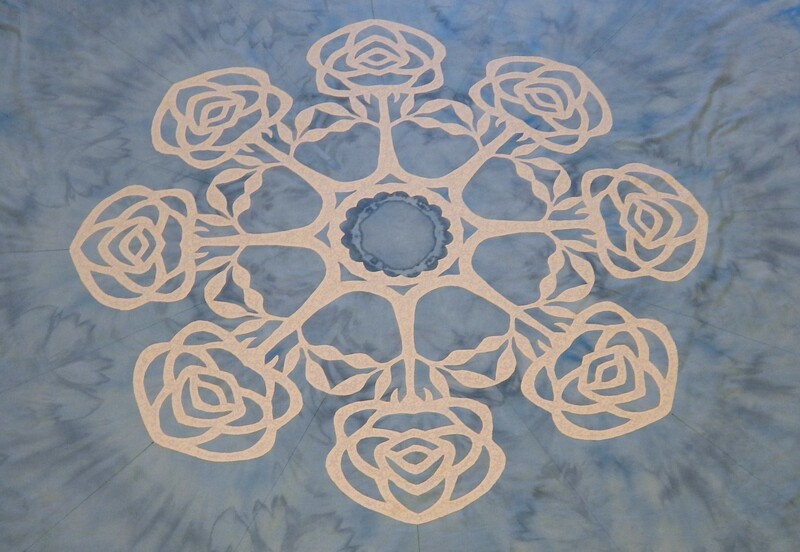 The rose cutout was designed to fit the fabric. The glue will keep the placement set while I do some hand basting. 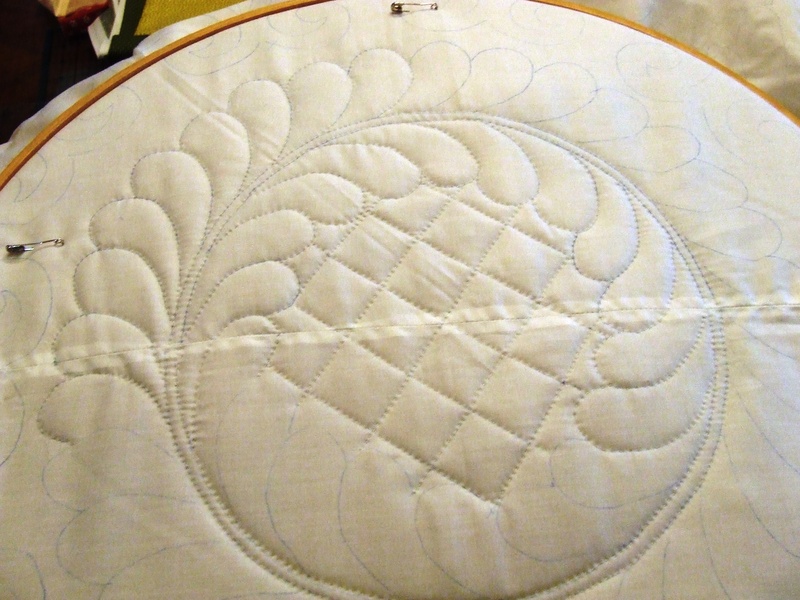 After all the basing is done I can start the applique. I will trim and clip as I go. 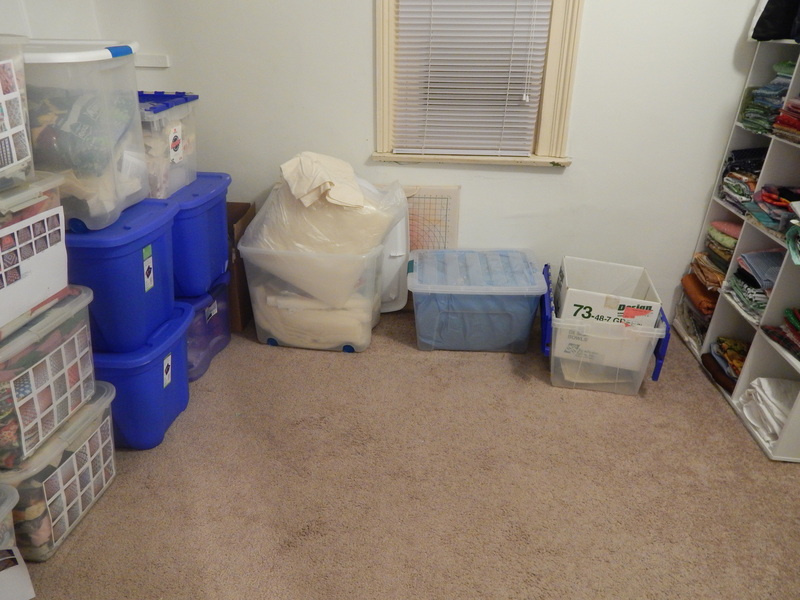 A lot of people have asked to see my fabric storage closet. I still have a lot to do the get it organized but here is a start. These are all antique quilt tops and blocks with a picture of each top that is in the bin taped to the outside so I know how to find them. The top shelf is a mess! I need to get a few more shelves. 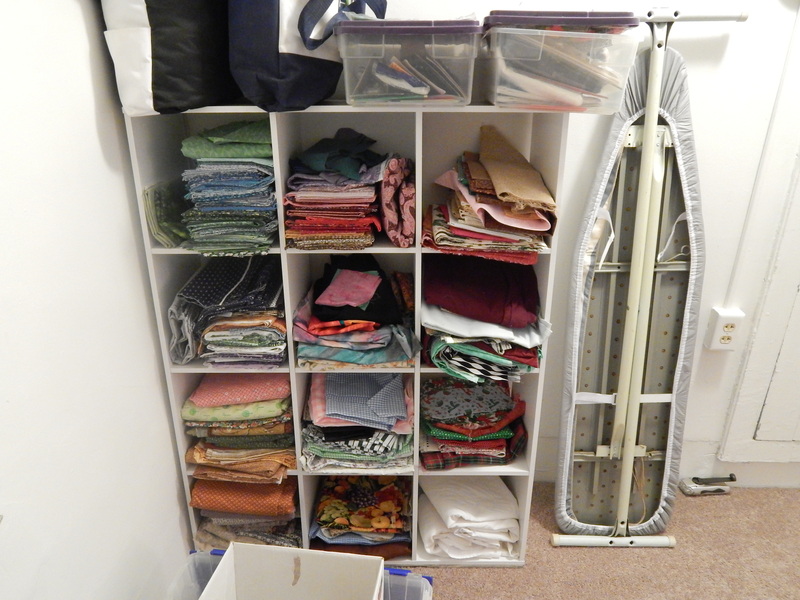 I think I’ll get 2 or 3 more of these shelves and I will be able to fill them with smaller pieced and fat quarters etc and I need one for orphan antique blocks. There is room for more shelves. 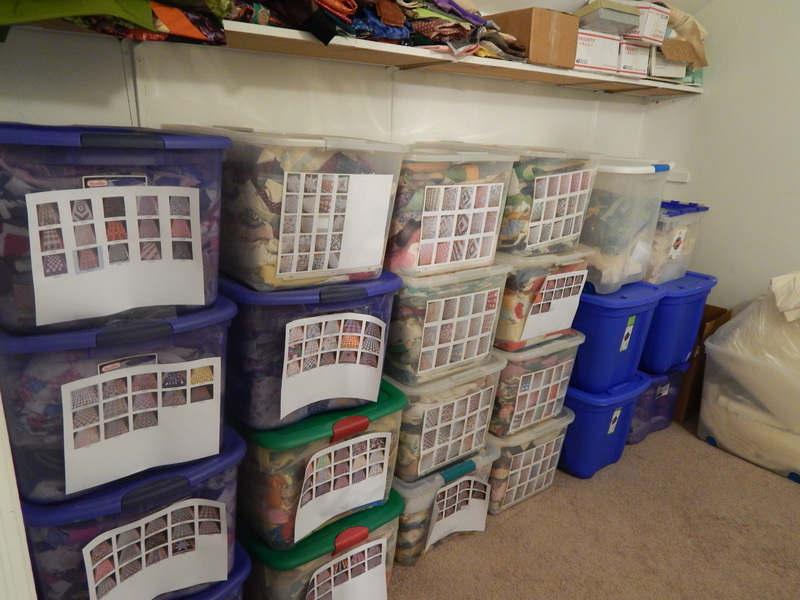 getting things out of boxes is good and bad…..each piece of fabric makes me think of what I can make….so many projects! Ill post some pictures later, when I get it finished. 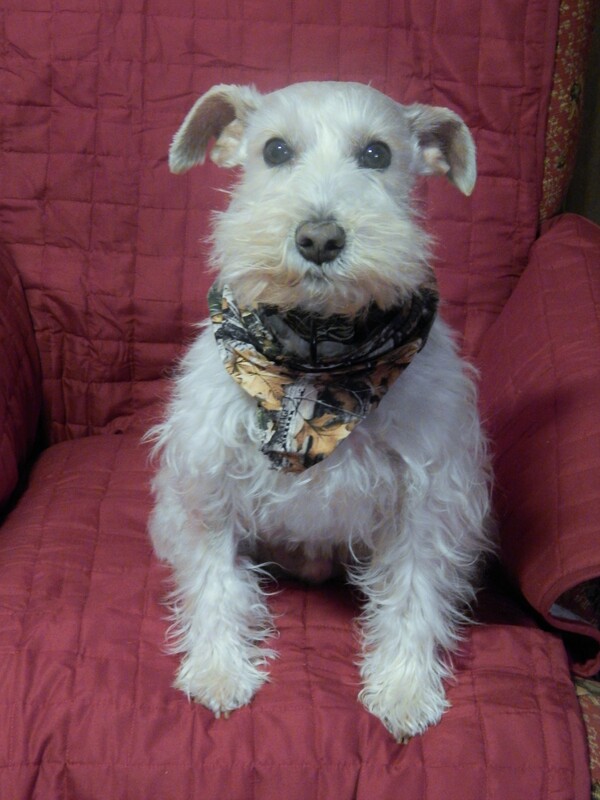 He is so shaggy! 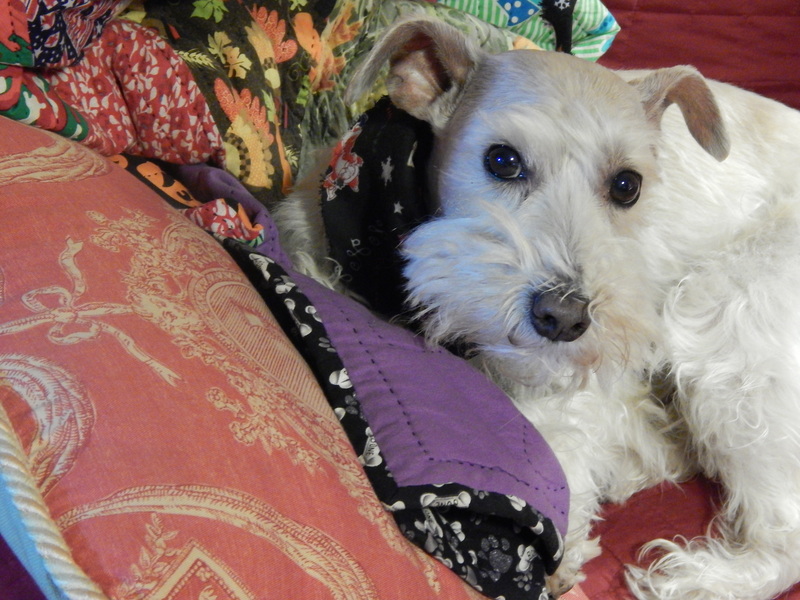 he goes to see the groomer tomorrow …. 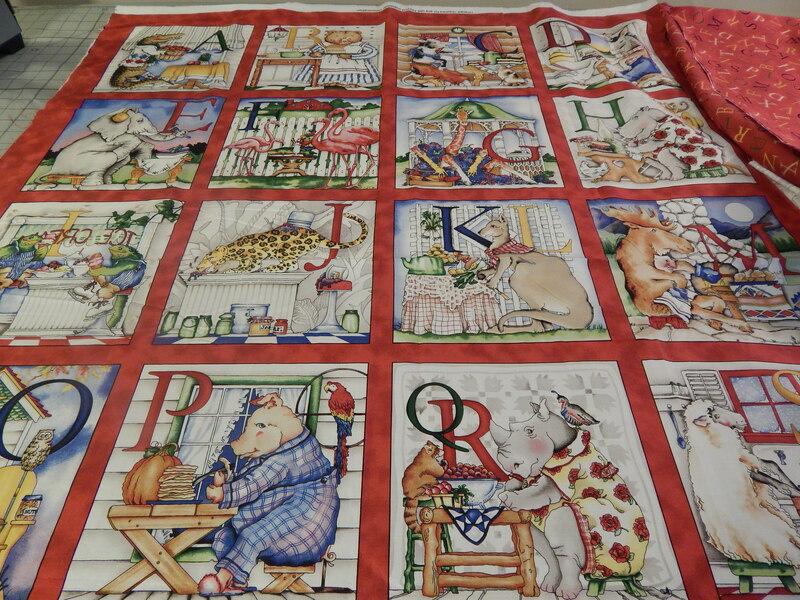 I have been working on a new idea for a quilt. 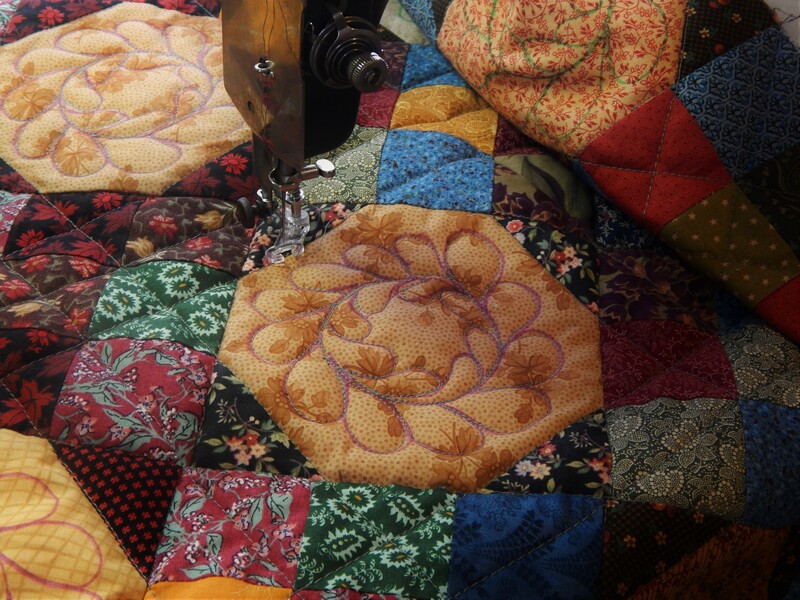 I have been thinking that something like it would make a super quilt center. “Es ist ein Ros entsprungen” (“A rose has sprung up”), most commonly translated to English as “Lo, How a Rose E’er Blooming” or “A Spotless Rose”, is a Christmas carol and Marian Hymn of German origin. 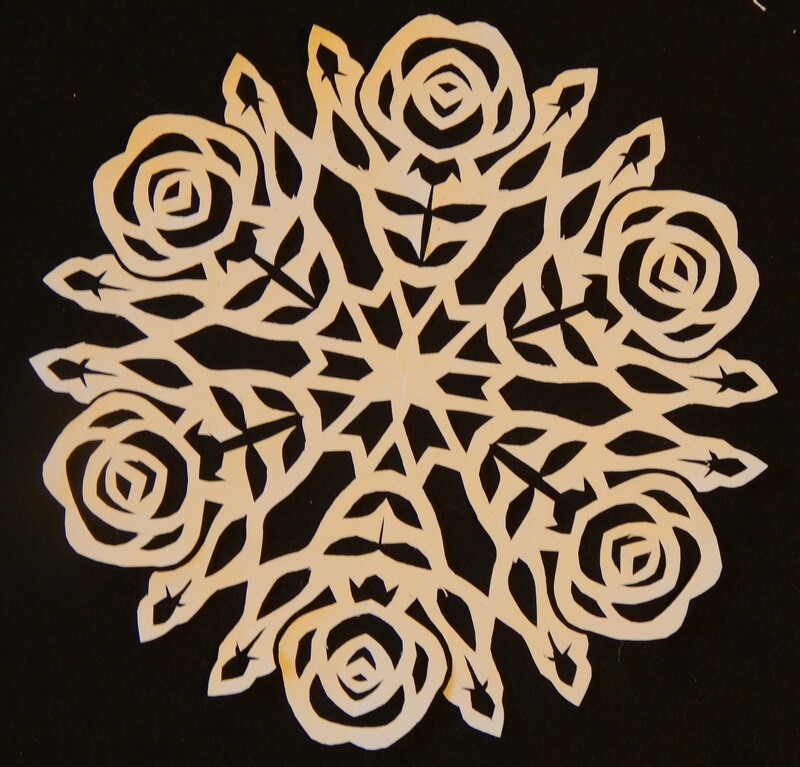 So I made a 45 inch wide snowflake with the rose design. I used craft paper and it still needs to be pressed flat. 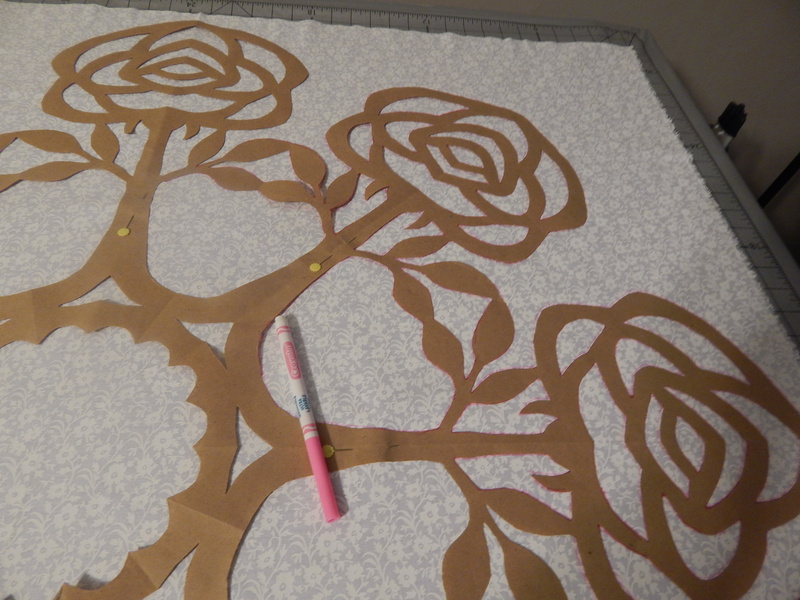 It will then be traced onto fabric and I will needle turn applique it to a background. I will also design more for the corners. This likely will take forever but I do think it is going to be great! I have 2 of the antique blocks appliqued (they are pretty irregular because the pieces were so irregularly cut out b ut that adds to the charm of an antique.